There are certain key vitamins and minerals that changed my life so much that I decided to commit myself to a career in nutrition. 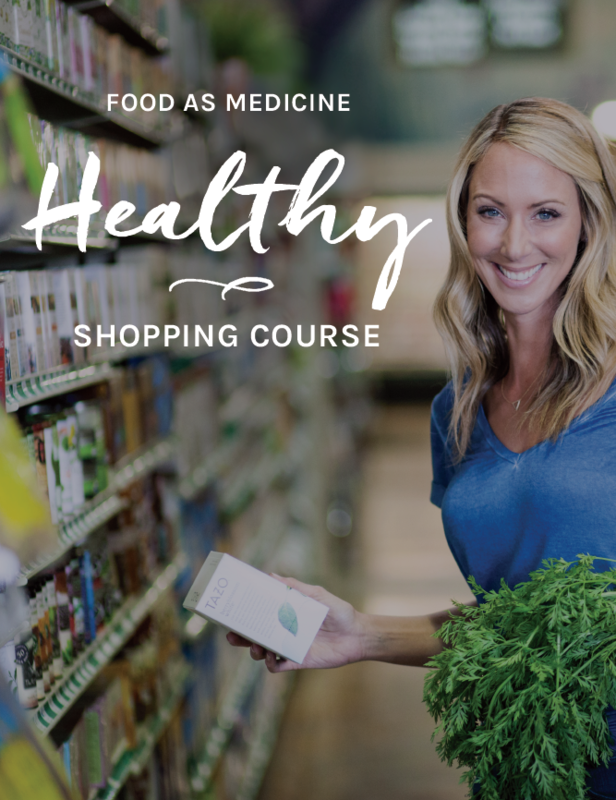 Today, we talk about foods and supplements rich in essential vitamins and minerals that are not only good for your body but are game-changers for your mind and clinically proven to decrease anxiety and depression, adding to your happiness factor. That’s why we're excited to help you turn to your local health food store as your apothecary for a peaceful mind and heart. A healthy brain is essential to regulating mood, and certain nutrients (or nutrient deficiencies) have a profound impact on maintaining normal brain function. Researchers have studied the association between vitamins, minerals and specific foods that combat depression and boost our mood. Let’s start with my personal favorite, chromium. Chromium Picolinate is a mineral found in everyday foods that may help atypical depression. Duke University scientists found that consuming chromium picolinate, a trace mineral naturally found in gluten-free whole grains, mushrooms, liver, broccoli, potatoes, and many other foods, has significant effects on individuals suffering from atypical depression. When I learned about the power of chromium to lift mood, balance metabolism, and regulate blood sugar (insulin) 15 years ago, I had to try it. I was faithful to it for 16 weeks and not only did it help my all-over-the-place blood sugar so that I could regulate my moods and energy levels, but it also definitely lifted my mood. In fact, I felt a peace that I had never felt before in my life. This is the power of filling in nutritional deficiencies. If you are planning to go beyond the food and want to supplement with chromium picolinate, the recommended dose (by Duke University scientists) is 200mcg with each meal. However, not all supplements are created equal when it comes to quality, which is why I recommend Pure Encapsulations Chromium Picolinate. In a small, double-blind pilot study at Duke University Medical Center, 7 out of 10 people with depression felt significant improvement after eight weeks. Many are deficient in chromium and don’t even know it. The effect of reversing a chromium deficiency? Balanced energy and stabilized moods. Vitamin B6, also called pyridoxine, is one of 8 B vitamins. All B vitamins help the body convert food (carbohydrates) into fuel (glucose), which is used to produce energy. We can’t really have energy and good moods when deficient in B vitamins. B6, in particular, is the go-to B vitamin for anxiety and sleep trouble. It has also been known to alleviate anemia. Because food can be a powerful medicine, consuming high-quality wild tuna, sunflower seeds, pistachios, or grass-fed beef liver will stock you up on your B6. If you prefer to take it in pill form, Pure Encapsulations makes a great one or you can take a high-quality beef liver supplement (which will also support your own liver, giving you a two-for-one). Magnesium is a parent mineral that regulates its children: zinc and copper. You don’t want zinc and copper going rogue, or you will be dealing with a myriad of emotional and energy issues. In addition to its parenting skills, magnesium plays over 300 roles in the body, supporting the smooth muscle and nervous system. Deficiency can result in constipation, anxiety/irritability, fatigue, mental confusion and insomnia. Magnesium also plays a significant role in the development of serotonin, which is a major contributor to feelings of peace, fulfillment and general happiness. When using food as medicine, this is where soaking your almonds and cashews to make a delicious nut milk blend would come in handy, as 1/8 cup of almonds gives you 79mg of magnesium and 1/8 cup of cashews gives you 74mg. Also ½ cup of cooked spinach gives you 78mg, so do try to get in your food as medicine. We want to shoot to consume 400mg of magnesium via our food daily. For those who are deficient, that should be bumped up to 800mg and taking a supplement at night for 3-6 weeks can do the trick. I like magnesium glycinate because it is highly bioavailable and activates the enzymes necessary for many physiological functions. It also helps regulate the acid-alkaline balance in the body. Having the proper level of calcium in your body is crucial for nerve, hormone, and bone health. We prefer people get enough from their diet, incorporating cooked organic leafy greens, full fat grass-fed yogurt, and high-quality raw milk. It’s widespread knowledge that low levels of calcium can lead to brittle bones because when the body is deficient, it will pull calcium from the bones to maintain proper blood levels. Many women are surprised to find that low levels of calcium may play a role in PMS-related depression. Calcium deficiency affects more women than men, so women should take special care to meet the daily requirements. Remember, it’s not what we take, but what we absorb. So it’s always a good idea to add Vitamin D and Vitamin K to your regimen when trying to boost calcium. This is why we like this particular calcium if someone plans to supplement. Alternatively, high calcium can be an indicator of issues with the parathyroid gland not regulating it properly (often due to a benign tumor on one of the four parathyroid glands). Usually, this manifests as persistent insomnia and anxiety. Given the Goldilocks nature of this mineral, it’s important to get your blood levels of calcium checked annually to see where you stand. Any woman who’s had low iron knows the impact it plays on their mood, leading to depression, apathy, and exhaustion. Iron has the very important job of transporting oxygen throughout the body, which supports energy levels, muscle strength, energy and beautiful hair. Iron deficiency appears more frequently in women than men, especially women of childbearing age, so it's a very good idea to ask your doctor to check your ferritin levels at least once annually. Ferritin is a blood cell protein that contains iron, and it can help you understand how much iron your body is storing. Consuming high-quality, grass-fed beef three times a week, as well as dark meat turkey, cooked spinach, and lentils should give you enough bioavailable iron to fill in a deficiency. If not, women should shoot for 18mg daily (men need 8mg/day) and get it in a non-binding liquid form of iron. Here’s your mg/serving of specific foods if you plan to use food as your medicine for iron deficiency. Make sure you are digesting your food well or taking a digestive enzyme if not. Here is our most popular Gluten-Free Grass-Fed Beef Lasagna Recipe to naturally boost iron. Commonly known as folic acid (folate is the food-based form that is much easier to absorb), this nutrient is crucial for proper brain function and plays an important role in mental and emotional health. We recommend 400 mcg/day as a good dose to shoot for to boost your mood and overall health and you can do that with these five superstar foods below. Notice how a lot of the foods are the same for boosting your mood? This is not that difficult to do through diet. Now, if you are pregnant or want to get pregnant within 90 days, you’ll want to consume 800mcg of folate daily. While these aren’t the only vitamins and minerals that contribute to healthy moods and alleviate depression, they play a major role. Your bonus Food as Medicine tip for anxiety and depression is to try eating 1/2 – 1 organic banana rolled in Himalayan pink salt with a handful of raw cashews or 1 tablespoon of cashew butter before bed. I’ve been using this powerful combo on clients and myself for years. Bananas are loaded with Vitamin B6, a precursor to serotonin and melatonin, salt is packed with essential trace minerals for nervous system support, and the cashews contain your necessary magnesium hit to make all three ingredients work more synergistically for a peaceful night’s sleep and waking with a sense of calm. Need More In-Depth Support For Anxiety And Depression? While these 6 vitamin & mineral tips are a great starting place to help naturally get rid of anxiety and depression, you might need a more structured, in-depth healing protocol. If this resonates with you, we now offer an online program for overcoming anxiety & depression. Micronutrients and the premenstrual syndrome: the case for calcium. Very informative Blog. Thanks for sharing this blog. Fight Depression naturally using herbal supplements of depression. Vitamin D deficiency can make you depressed as well. I know because I’ve been diagnosed and need supplementation. I tend to feel better in the summer when I’m in the sun a lot. Once fall comes, it gets cold outside and I don’t feel so good. I’m more depressed because I need more vitamin D supplementation.Yes, all these other nutrients affect the mood, too, but it seems no one thought about vitamin D.
colleague whߋ haѕ been doing a little rеsearch ᧐n tһis. f᧐r him… lol. So let me reword thіs…. time to talk about thiѕ matter here on youг blog. Thank you so much for watching, Gail! So glad to hear that you found it informative! I am 60 yo just started this week on citalopram for Anx & Dep. I already take a good B Complex (50 mg). I want to take a multivitamin multi mineral. Is Iron ok to take over age 60 or should we adhere strictly to only the “50+” for vitamins minerals ? Thank you. Hi, We typically recommend checking with your doctor regarding whether or not to take an iron supplement, as it is important to not take if you have higher levels already present. Great that you are taking a B vitamin! Show hope to this works. Would you recommend starting all 6 at one time for someone that doesn’t take vitamins at all but needs to regulate sugar levels and has anxiety and depression…? Looking to start a new regimen and appreciate any guidance. Thanks so much! Hi Leslie! I would recommend trying one first, and then seeing how you feel and then perhaps adding something more in. Adding multiple different things at once can be challenging if you are reacting to something. Going slow with introduction is the best! I just saw the video for this on Youtube and was immediately interested as I feel I have post meal blood sugar stabilization issues mainly after lunch and into the late afternoon. I have struggled with adrenal fatigue issues. I am getting better but blood glucose symptoms seem to be the worst for me and giving me feelings of anxiety. I researched this chromium and I am seeing lots of positive but a few negative reviews. I like that it has shown improvements in LDL, which is another issue for me. I have genetically high LDL. Would you recommend someone recovering from adrenal fatigue to take this? Hi Amy, YES, for those who are dealing with adrenal dysfunction, regulating blood sugar is a must! We love chromium and would recommend Chromium Picolinate form. My tiroid start to be over active this food you mention is good? Thank you for your post, Connie. Christa has several blog posts regarding thyroid health. Please click HERE to read about the best foods to support your thyroid. I ordered the pure encapsulations chromium Picolinate and when it arrived I noticed that it was a 500 MG capsule and christa recommended 200 MG with each meal for dosages. Will I be able to use these 500 MG or will it be too much at once? Hi Thomas! We always suggest stopping a supplement if you start to experience negative reactions like feeling anxious. The dosage you are taking may be too high. If you decide to reintroduce it definitely make sure you start slowly and at a lower dose than suggested until you can tolerate a full dose. Further testing from your practitioner is necessary if you want to test for underlying sensitivities. That’s great news, Lipari! Thanks for sharing. Thank you for the great tips on vitamins for depression . Hello, my 19 year old grandaughter has been suffering from anxiety for about 3 years now. They have her on a antidepressant busbar (spelling) . Is it safe to take these vitimans with this medication? Hi Cindy, These vitamins and minerals can be taken with medication but we recommend getting the ‘ok’ from your grand daughter’s doctor first. Love this!! Do you recommend taking all of these together? Or how do you suggest I figure out what I’m actually lacking and need to take? They are fine to take together, Stephanie and act synergistically. If you do that, start with the dose on the bottle and if you need further support, work with a functional medicine practitioner to customize the dosage. Hello, I’m looking into taking these supplements for my anxiety/depression and I just had a quick question,are they all safe to take while breastfeeding? My 17 month old is still nursing.I’m assuming so since we get them from food, but I just want to be on the safe side. Thank you! Yes, Ally. There should be no problem with any of these while nursing – as most of them are already found in higher amounts within your prenatal vitamins and are supportive to milk production and quality. Of course, pass anything new by your doctor as you choose dosages specific for you. Hi April, If you felt great when you did the Candida Cleanse two years ago then repeating it now is a great idea. Our customer support team is happy to help you decide your next step. Please write to them at [email protected]. Hi Stacey, would love to know about your candida cleanse as I also suffer from severe anxiety and depression. Anxiety just sprung up on me out of nowhere about 4 yrs ago and became suicidal. Im on medication and can’t seem to get off them, I have tried many times. I need help asap it’s ruining my life and damaging my kids in the process. I’m also looking into starting some supplements. Hi Belinda, I am very sorry to hear about how you are feeling, I invite you to check out Christa’s blog linking Vitamin D and depression. 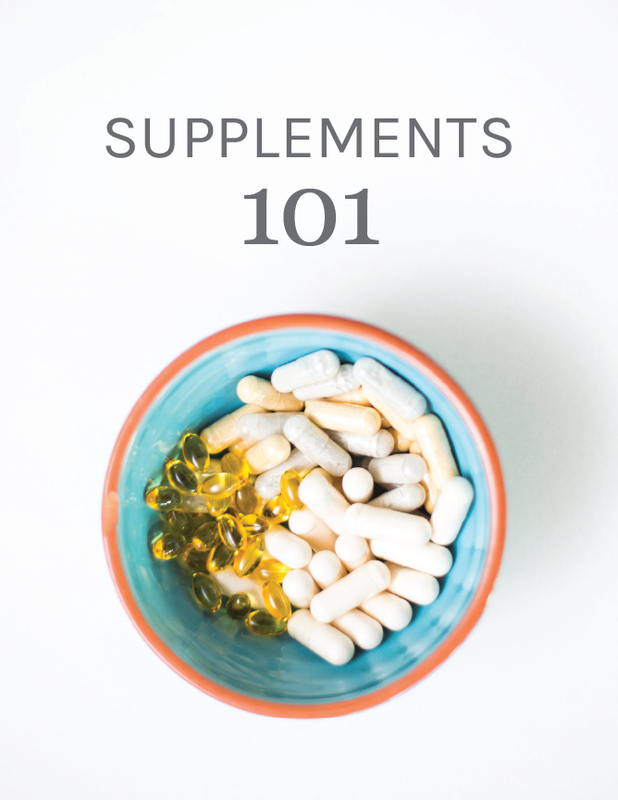 Adding specific nutrients can be very helpful, however, before starting any supplements, I would recommend contacting your doctor before trying anything. If you would like to learn more about our candida cleanse please send an email to our customer support team [email protected] and they’ll get all your questions answered. Sending healing wishes your way. Hi Christina, great article. I always use pink salt and believe in the minerals. I was recently told that we are lacking potassium and to use Nu-Salt vs the pink salt. Sodium carbonate is less than 99% in the pink Himalayan salt and we need at least 90% sodium carbonate and potassium. Do you have any feedback on this? Apparently, we are all walking around dehydrated due to the lack of sodium carbonate/potassium combination. Please advise. Thank you! Hi Martha, We are big fans of using pink Himalayan salt. We also think it’s a great idea to increase your intake of potassium rich foods like avocado, spinach and sweet potatoes if you are deficient. Hi Gail! Here is the link to order the dessicated liver supplements http://www.radiantlifecatalog.com/product/radiant-life-desiccated-liver/superfoods-supplements/?a=102930. I also have been studying nutrition for a while and try to help my anxiety naturally. This is an excellent article that sums up the why, what and how to beat the blues naturally…thank you. So glad you enjoyed the post and that it made sense for you Christina. Good luck in your studies! What about a B complex to have all B vitamins all at once? How to know what brand is better. The Health store is full of many brands.